I read this post online today, from a member of a Final Cut Pro X group I am in. 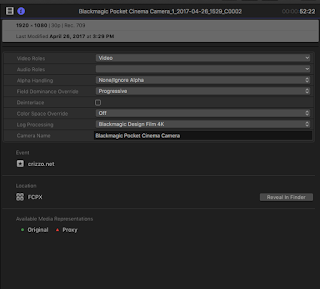 "One of the biggest accomplishments in this great journey was having my store added to Apple’s Final Cut Pro Resource Page. When this had happened it brought me tears of happiness and joy. To have a highly valued company such as Apple add my little online store to a long list of amazingly talented people and businesses is incredibly gratifying." My personal belief is that all art should be free, I don't mean you should work for free, I mean you should NEVER put a price on your passion. Anything creative I do, either I give it away, or I tell the person to give me whatever they want. I never put a price on anything. Currently I am doing my first music video for a local artist, who also happens to be signed to a decently sized record label. My price for doing this video? NOT A SINGLE PENNY. All I asked for was a shoutout on the video page! I have actually spent $700 of my own money on additional equipment to shoot this video. Whatever your passion is, money shouldn't matter in achieving those goals! Spending money on equipment is my way of saying that I believe in myself and my talents, even if others don't. Doing something for free isn't really doing something for free, it is a chance to prove myself to people who might not know what I am capable of doing. I might not be the next Spike Jonze; but, I'll never find out if I don't try! In this tutorial video I am showing you how to add custom sound effects to your video projects, to make your videos or clips stand out. Most of the sound effects I have installed on my machine either came with Final Cut Pro X, or with Logic Pro X. You can also use third-party sounds as well. In this tutorial video I am showing you how to apply transitions to your FCP X project, how to adjust those transitions to achieve the desired look, as well as one of my favorite third-party plugins for transitions. One of my favorite places to purchase plugins or templates for Final Cut Pro X is motionVFX. Here is a demo of mTransition Zoom for FCP X: https://www.youtube.com/watch?v=IWINT_KXB_Q&t=4s. Checkout my Final Cut Pro X: Basics for Beginners videos on YouTube: https://www.youtube.com/playlist?list=PLg-tTwoinemoOuHTh-uDt6Be_14odprQ1. If you like what you see, be sure to hit that subscribe button so you don’t miss any of my FCP X videos: Subscribe; https://www.youtube.com/user/VideoRizzo?sub_confirmation=1. Footage was shot with the Blackmagic Pocket Cinema Camera, the lens used was the Panasonic LUMIX G 20mm F1.7 II. I shot this in Quechee, Vermont. The reason behind these posts is so I can compare settings, and quality of footage, as well as share them with the public or anybody who might have an interested in the camera or the lenses that I am using. A website that will quickly allow you to figure out the crop factor for you camera/lenses. Works well; simply punch in mm size, F-stop, and sensor size and then press calculate, a second later you get your almost exact results! Another thing I like is in the results it does a good job of explaining the crop factor and what is going on with the crop, and does so in a way that anyone can understand; but, also links to more complex explanations of crop factors and sensor sizes. 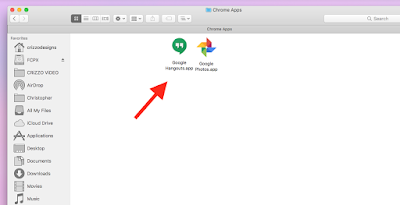 Google recently removed the Blogger app from the iOS App Store, and rightfully so. The Blogger app had not been updated in a really long time. Enter EasyBlog for iPhone. 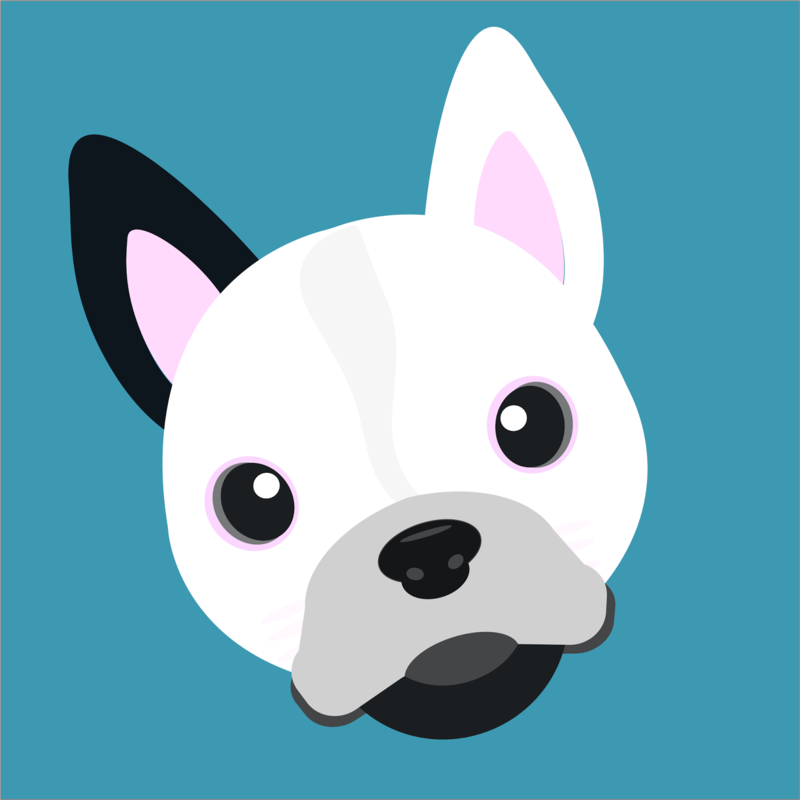 EasyBlog is a Blogger/Blogspot application for the iPhone that will allow you to easily manage your Blogger content; compose a draft, write a new post, make an edit to a post already published. This application is a version 1.0, so it is very limited. Currently you cannot add images or embed a YouTube video; but, you can write a post and add a URL link, make bulleted list, add keywords to a post, publish a new post, and revert a published post back to a draft. The interface is modern and beautiful, and even though the app has a few shortcomings or lacking a few features, EasyBlog still allows you add content to your Blogger website from your phone while on the go. Plus, it is free to download, there are no in-app purchases or ads in the app, currently. That's what's up! 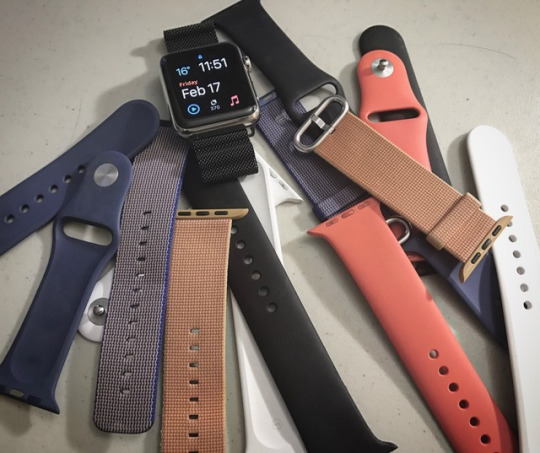 Super dope band, I just don't feel for the price that I would get enough usage out of it. I would wear it, just not every single day! "Other than showing the brilliant colours we're doing for the Apple Watch, as the only brand offering premium, hard anodized aluminum, we're donating $20 for each sale of this Ligero model to Amnesty International to help their fight against discrimination." This video is the very basics of editing in FCP X; how to add text, how to slice your clips, how to add generators, etc. Hopefully I did an okay job with this video, I feel like I was rambling on; but, that is what happens when you talk for 20 minutes straight. I tried to touch on the important aspects of editing in FCP X. 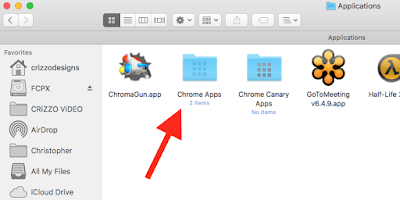 Open the Home folder on your Mac. Now open the Applications folder. Inside the Applications folder you will find all the app icons, you can either click and drag them to your Trash bin, or you can right-click on them and select Move to Trash. After you have moved them to the Trash bin, right-click on your Trash bin, and select Empty Trash. 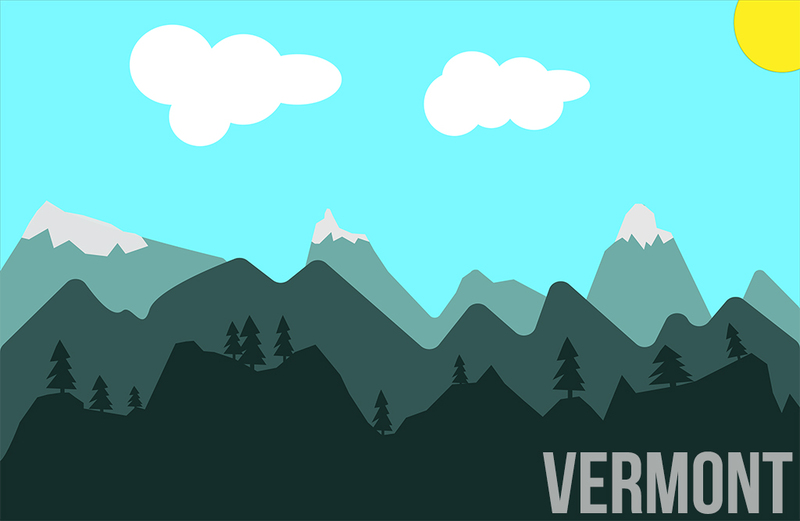 This was a Vermont skyline I created in Adobe Illustrator, I have included the .ai file below if you want to download it and make changes to it, or use it as your own design. I have altered this image a bunch, mostly changing the colors from what you see below. 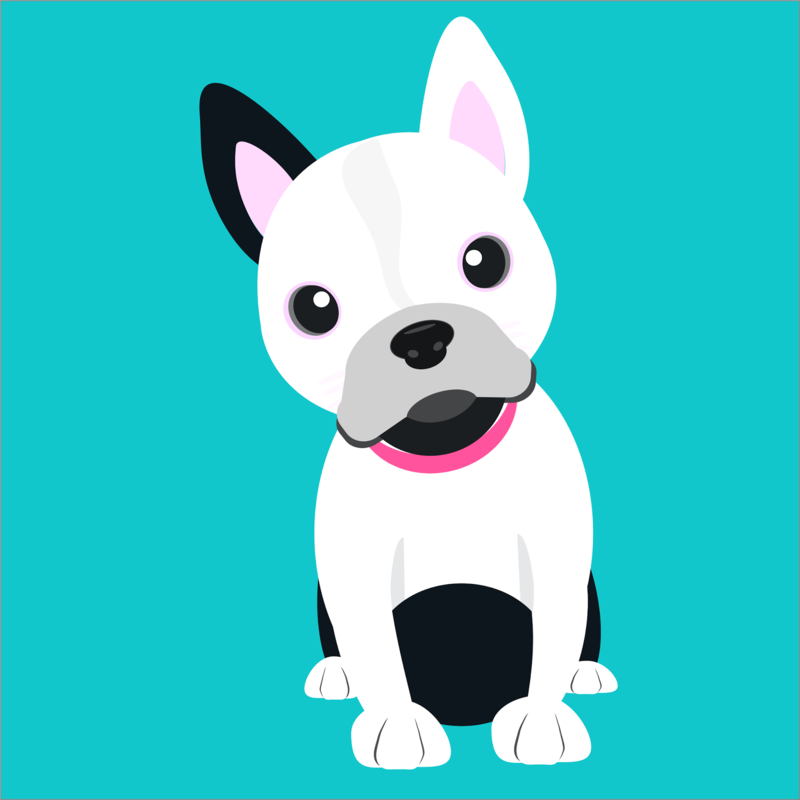 I am going to start uploading all my Illustrator projects here to my blog. This particular illustration was for a friend of mine, it is his Boston Terrier; Snowball. 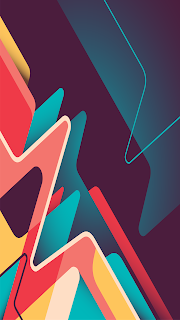 Below you will also find a link to my Google Drive folder where you can download all the .ai files so that you can open them in Adobe Illustrator and edit them yourself. If you have any questions about this illustration, feel free to comment below. Download the .ai file HERE. 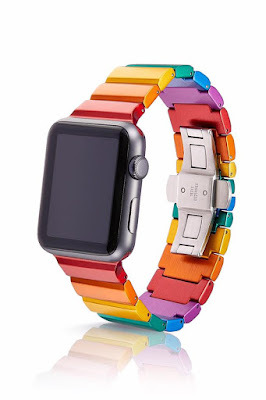 One of my favorite aspects of the Apple Watch is the easily replaceable bands for the Apple Watch. I have quite a few different bands, all varying in colors and styles. I currently have the stainless steel Apple Watch (series 0), or the original Apple Watch. While I don’t think I really need to update the Watch, as watchOS 3 has made my Apple Watch almost like a new device; I really do want the porcelain Apple Watch. 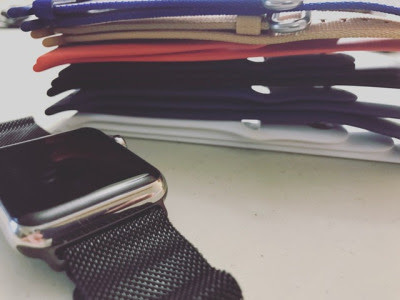 I think the white porcelain Apple Watch Edition is beautiful. If Apple announces a new Series 3 (4th generation) Apple Watch at WWDC, and there is a porcelain version available, that might be my next big purchase from Apple. 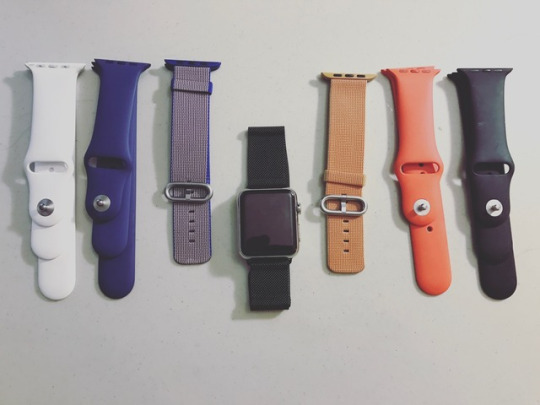 I have my eye on one of the new Nike bands, as well as this Spring edition band that Apple just launched. Hopefully if Apple does announce a new Watch at WWDC or even in the fall, that the new Watch will work with the bands from the older Apple Watches. I have found myself using my iMac once again more and more every single day. I don't mean I moved away from it; but, for the last couple of months I have only been using my MacBook Pro. The small screen size of my MacBook Pro (15") in comparison to the large screen on my iMac (27") is one thing; but, the performance is another issue as well. Anytime I start to push the MBP the fans ramp up and it feels like it starts to stutter a tad. Even though my iMac is three years older, I still feel it is the better machine for what I want to do. I am not shitting on my MBP, I just think I am more of an iMac fan, thus I can't wait for the new iMac or iMac Pro – whatever Apple announces — to launch. I might sell my MacBook Pro and invest in a new iMac, or I might just keep the MBP and upgrade my current iMac instead. I do love the portability of the MacBook Pro, I just tend to feel more productive on the larger screen of the iMac when I am at home. I just hope if Apple does announce an iMac Pro that it is everything I want and need! I highly doubt Apple will ship a new machine with those slots, one can wish though. While I am living in a USB-C/Thunderbolt 3 world now, I still have a lot of external devices that use the older port technologies. I wouldn't even be upset if Apple removed the SD card slot; but, maybe added 1x USB-A slot and 1x Thunderbolt 1/2 port. I use an external SD card reader so I don't really care too much about the SD card slot on the iMac, it is always annoying trying to reach around [giggity] the back of the iMac to find the slot to insert the card, which is why I bought the external reader; as well as I have several different sized cards for different devices I use. If Apple goes all USB-C/Thunderbolt 3, I hope they add at least 6 slots. Right now my current iMac has 2 Thunderbolt ports, 4 USB ports, 1 SD card slot, 1 Mini DisplayPort, and 1 3.5mm headphone jack port. I assume they will keep the 3.5mm headphone jack on the iMac, just as they did with the new MacBook Pro with TouchBar. Maybe they will add an HDMI out to replace the Mini DisplayPort, for use with a second monitor? I would be okay with that as well. Anyway, we are about 6 weeks away from WWDC. I have a feeling this year is going to be a huge year for Apple at WWDC; in terms of announcements! This might be the most excited I have been for a WWDC event in about 5 or 6 years, I have not been this excited since Steve was alive and on stage! There are always the first extensions I install on a new Mac, or if I do a clean install on one of my older machines. As of writing this, they both still work without any issues. Removes all sorts of un-necessary junk for the URL so that you can easily copy the URL for sharing. Removes things like: utm_source=, etc. 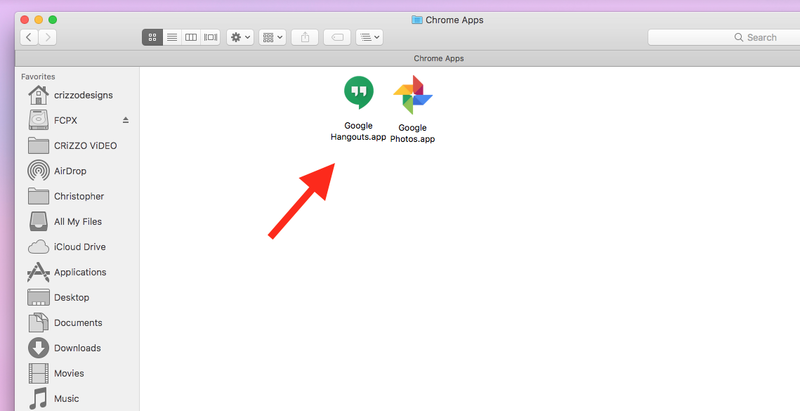 "This is an extension to provide a minimal (Google Chrome-like) status bar for Safari. It also has built-in longurl support to convert those pesky and opaque short urls to long ones again." 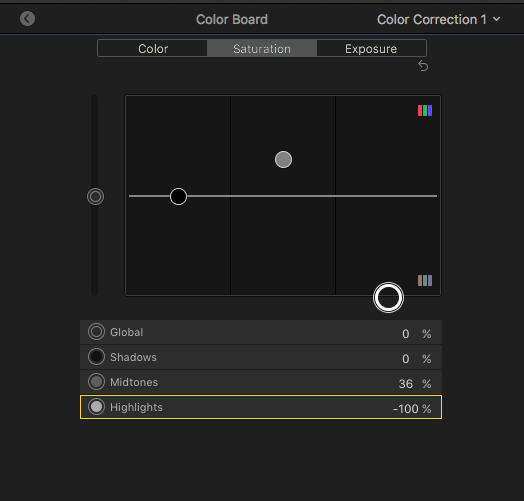 This is part 1 of my Final Cut Pro X Basics for Beginners series. In this episode I go over Libraries, Events, and Projects. 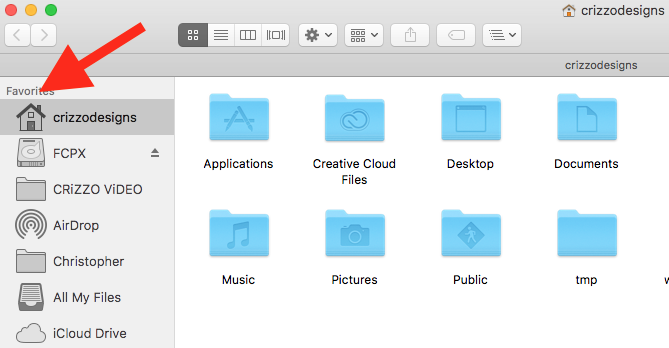 How to use them, what they are, and how to manage them within FCP X. You can also checkout my written review of the Editors Keys, which you can find here; http://www.crizzo.net/2016/06/editors-keys-keyboard.html Got notifications turned on? Why not turn them on for my channel so you do not miss any of my FCP X tutorials?! This is a quick tip on how-to round corners in Adobe Illustrator. In the video I show you how to round all four corners, or if you only want to round certain corners I show you how to do that as well. If you have any questions or comments feel free ask below. If you haven't done so yet, feel free to subscribe to my tips channel on YouTube; https://www.youtube.com/user/videorizzo. 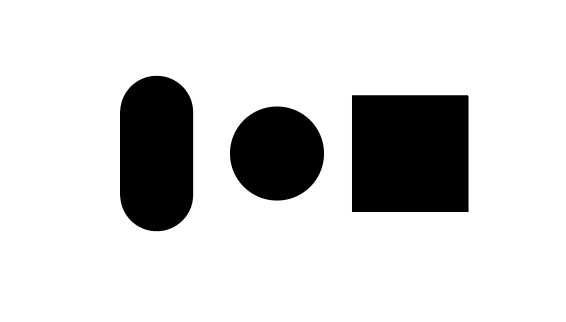 These are the 3 basic shapes for creating cartoon characters in Adobe illustrator. The circle and the square are easy to create on your own, the oblong oval is the one beginners might have trouble with, so I created it for you. 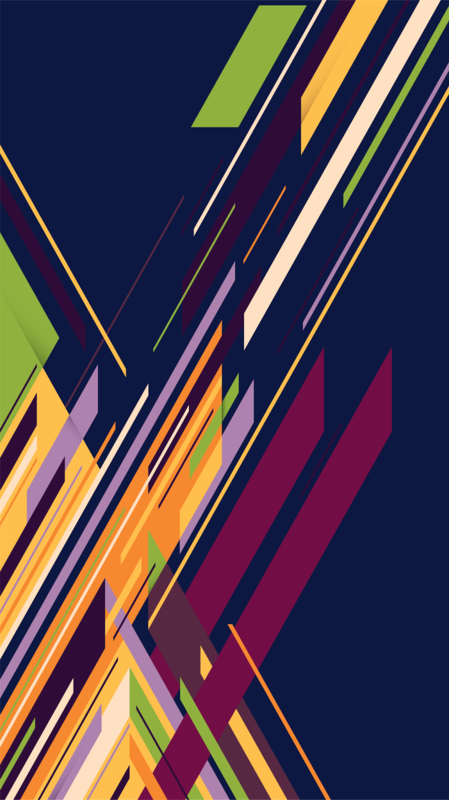 NOTE: you can easily change the colors of the shapes by selecting a shape and then choosing a different color from the color palette. iPad Pro or MacBook Pro with Apple Pencil support? 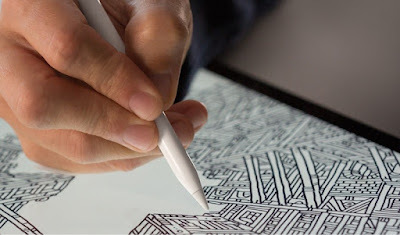 Just a few thoughts on wanting an iPad Pro; but, I would rather have a MacBook Pro that supported the Apple Pencil, at least in theory I would! I’m in the market for an iPad Pro (12.9”); but, I’m going to wait until WWDC with the hopes Apple announces something new, I also know they’ll wait until the fall for an iPad announcement. I am just holding out hope we get something in a couple of months. I still think the patent/rumor last year about the new MacBook Pro w/Touch Bar that would have a trackpad that supported the Apple Pencil (http://bit.ly/2ozR3BE) might be something we may see this year, it is surely big enough. Then there is the patent showing an iPhone/iPad connecting to the MBP (https://goo.gl/HQQWru) as well, to be used where the trackpad should be. I think both of those rumors might be correct; but, I don’t think they’ll look like the diagrams at all. Maybe a trackpad that looks and functions like an iPad/iPhone. The trackpad is already glass and the Touch Bar is already using iOS! 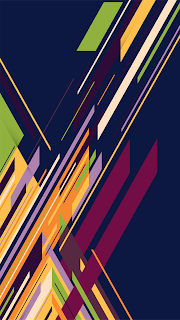 Anyway, I just want something that works without input lag, so I can draw and transfer my work easily to Illustrator. Yes, I know Wacom has some nice devices; but, the few I have owned have never really worked too great. The devices that Wacom does sell that I have heard nothing but great things about are really expensive, I am not that invested in my hobby to spend that type of cash for a device I will use casually. Plus, I live in an Apple world so I would rather have something from Apple, that is just my preference. You can order these custom designed t-shirts from TeeSpring; broccoli is life. Price is $24.99. They come in sizes from XS to 3X. 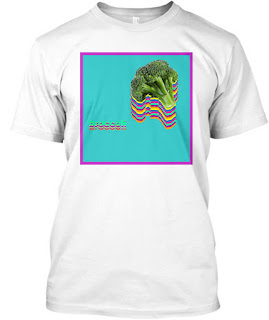 They are hight quality American Apparel t-shirts. The only color available is white. These will only be available for the next 3 days. Order now!